First Job After Graduation: Riding Program Director at Camp Arrowhead in Asheville, NC. 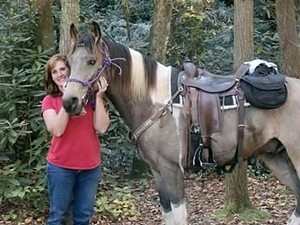 Owner of Little Creek Stables in Clover, SC. 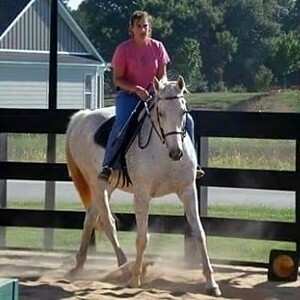 We offer riding lessons in all disciplines, trail riding, boarding, summer camp, winter camp and special events. We have a covered riding arena, trails at Kings Mountain State Park and full bathroom and classroom area. I love our privacy and I love the different programs for all skill levels and ages. I like having a certificate most of all. So many people out there think that just because they grew up with horses or know how to ride that they are qualified to teach lessons. But that is so untrue! There are so many different personalities and ways to learn, so I value being able to see what works for each individual. I also value the riding experience. The horses at MM were never easy and that made it better or more meaningful to conquer or overcome the difficulties in riding. Being at MM and achieving my goals made me a stronger more qualified person to teach others. I am thankful that I was able to attend! I would recommend looking at the big picture. The dorms weren’t the best, but it didn’t matter because you aren’t in there! The barns were lots of work, but it made me able to handle what I do now. The horses were difficult but it made me appreciate the school horses I have now and helps me know which of my horses are best at teaching others.